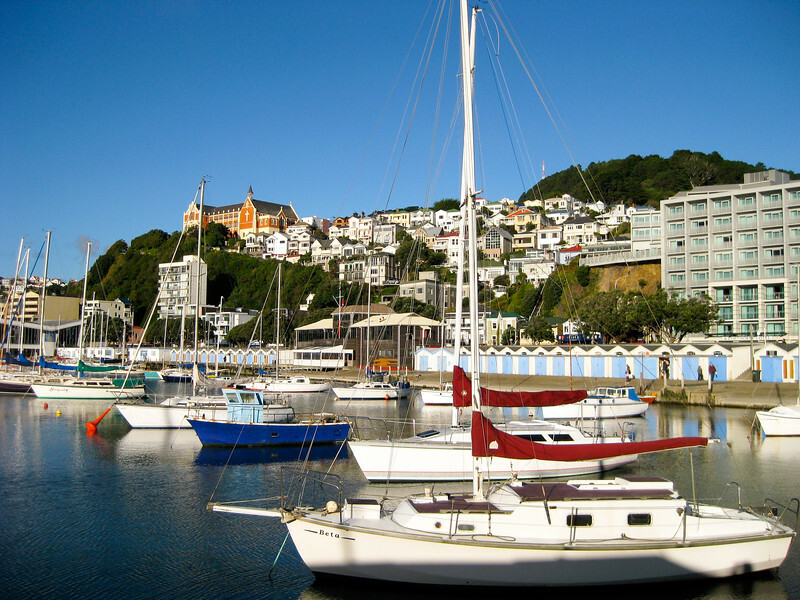 I've had an ongoing love affair with the city of Wellington, New Zealand, for the better part of 10 years. I got butterflies when visiting the city for the first time in 2005, and fell head over heels three years later when I moved to the city for 5 months during university. 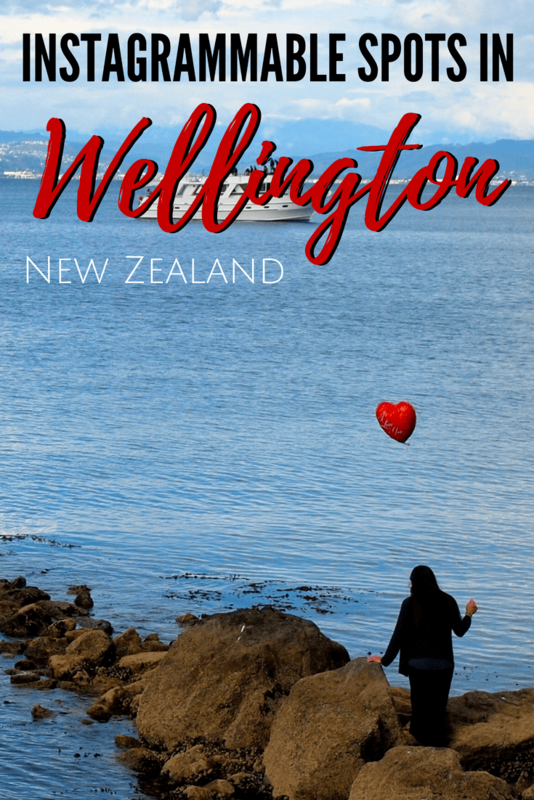 I still list Wellington as one of my favorite cities anywhere in the world – and that's saying something, considering how many awesome cities I've visited! One thing that I love most about Wellington is how much character it has, from it's colorful harbor to its steep streets to its mix of culture. All of these combine to create a city that I not only love to visit, but that I also love to photograph. So today I thought I'd share some of my favorite spots in Wellington to get great photos, whether you're looking for Instagrammable spots or just spots that are really photogenic. Oriental Bay is the spot where the first stirrings of my feelings for Wellington were born. On a nice day, this is, hands-down, my favorite place to be in Wellington. 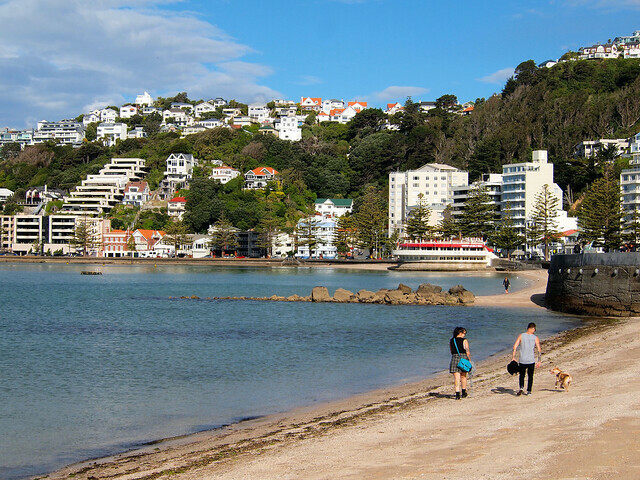 And I'm not alone in feeling this way — locals and visitors alike gravitate toward Oriental Bay on weekends and sunny days. Oriental Bay is Wellington's only true beach, making it a unique spot to photograph in the city, too. 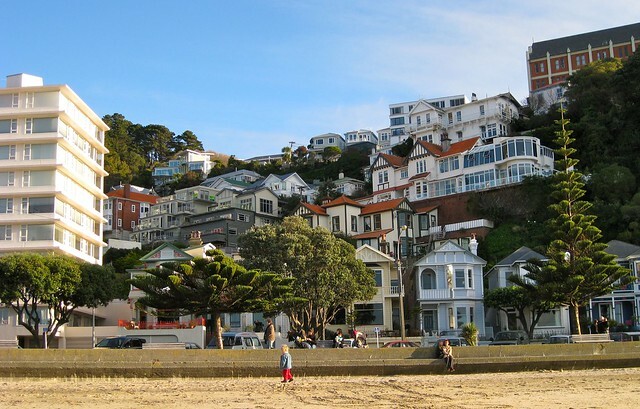 On a sunny day, the water turns a beautiful deep turquoise color, and the colorful houses climbing up Wellington's hills make for a great backdrop. You'll also find a small harbor here with boats AND super cute boat houses – I have a print of these boat houses in my condo! 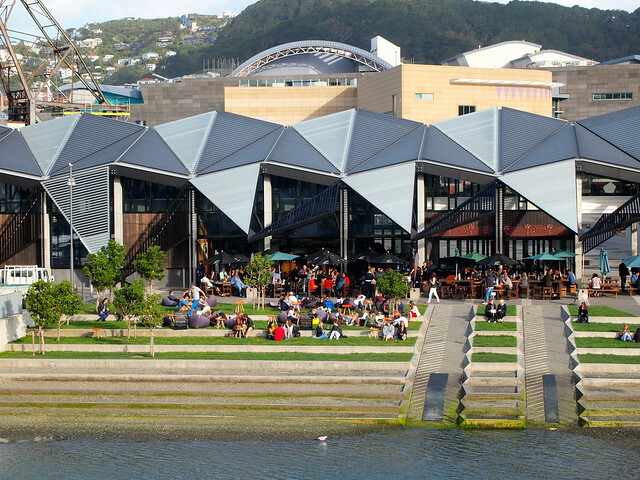 I know Oriental Bay is already on this list, but it's worth mentioning another section of the Wellington waterfront, too: the area in between Te Papa (New Zealand's fabulous national museum) and Frank Kitts Park. This is always a lively area, with people walking, biking, skating, and even rowing when the weather is good, along bars and restaurants spilling over into outdoor terraces filled with bean bag chairs. 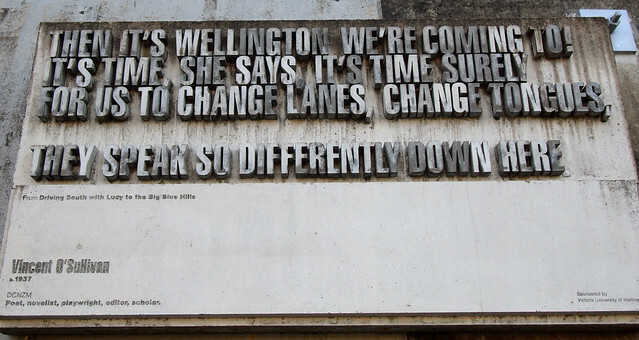 For photographers, it's got some super interesting buildings, as well as parts of the Wellington Writers Walk, which includes large carvings of different literary quotes. 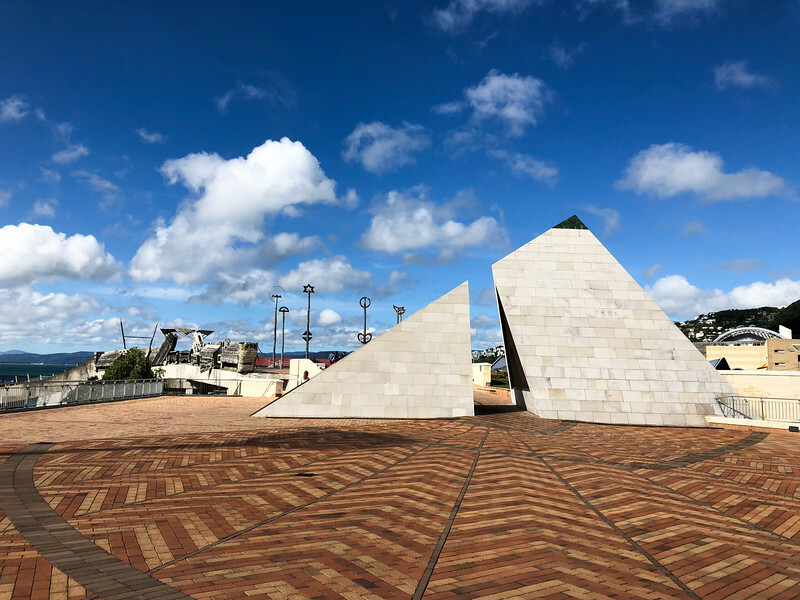 When you're walking along that section of waterfront, you'll eventually get to the City to Sea Bridge, a pedestrian bridge and public artwork that connects the Lagoon to Civic Square. 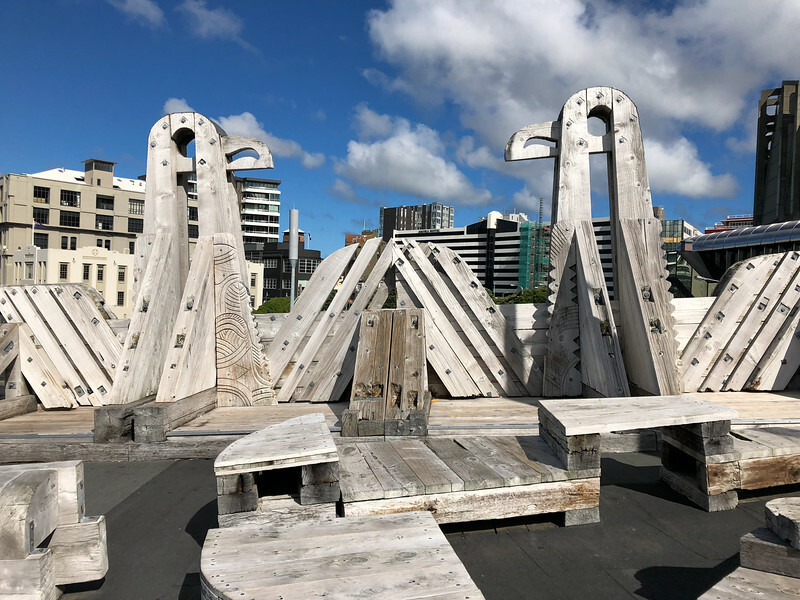 The bridge is covered in wooden sculptures carved by Maori artist Paratene Matchitt, and is really an attraction in its own right. So many cool shapes and patterns here! 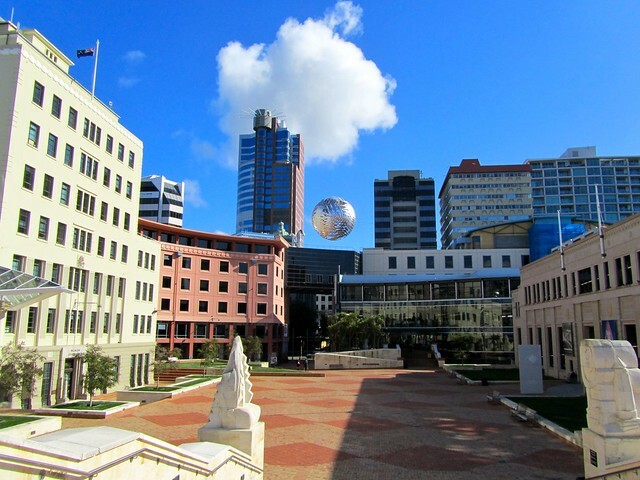 At the other end lies Civic Square — I love the suspended sculpture here made of metal fern leaves (though note: the “fern ball” was taken down in 2015, and has not yet been replaced as of mid-2018). My favorite all-weather spot in Wellington is Cuba Street. This is where you go when you want to eat, grab a drink, or just hang out. 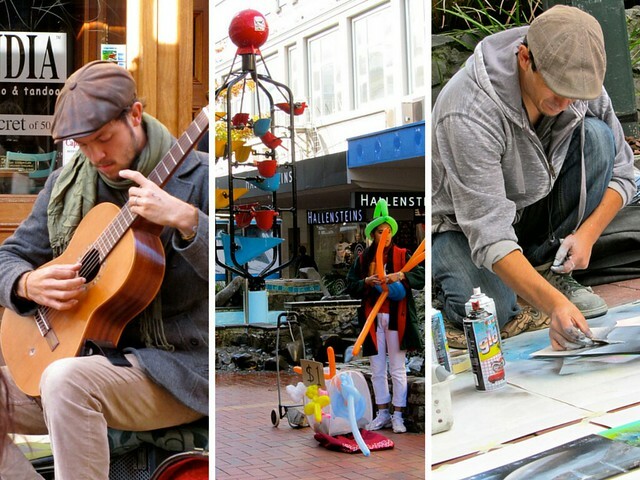 You're bound to find some buskers in the pedestrian-only section of Cuba Street, too, making the area great for people-watching (and practicing your portrait photography!). 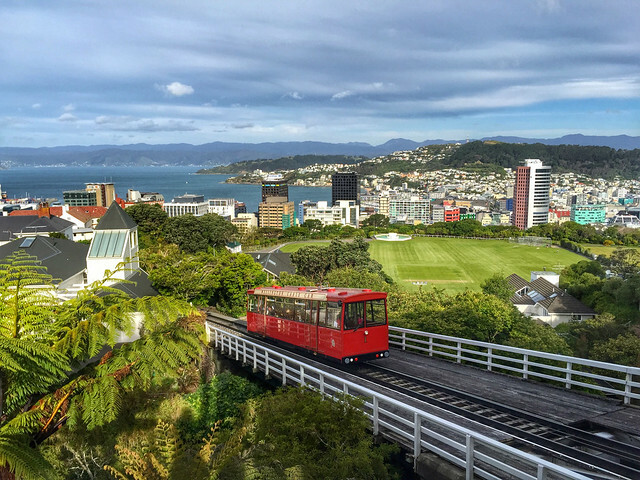 The topmost cable car station (which also has a free cable car museum worth checking out) is right next to the Wellington Botanic Garden and offers some great views out over the city. 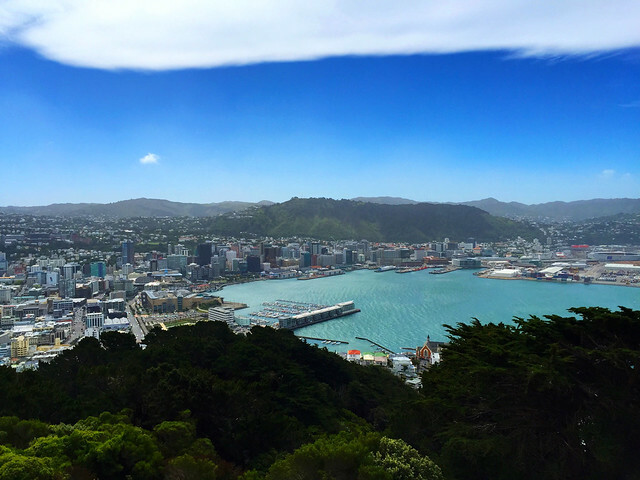 Speaking of great views, you have to get yourself to the lookout at the top of Mount Victoria at least once during your time in Wellington. You can either hike up, take a bus, or drive — it's very accessible. Stick around for a sunset on a clear evening and watch the city light up below you. 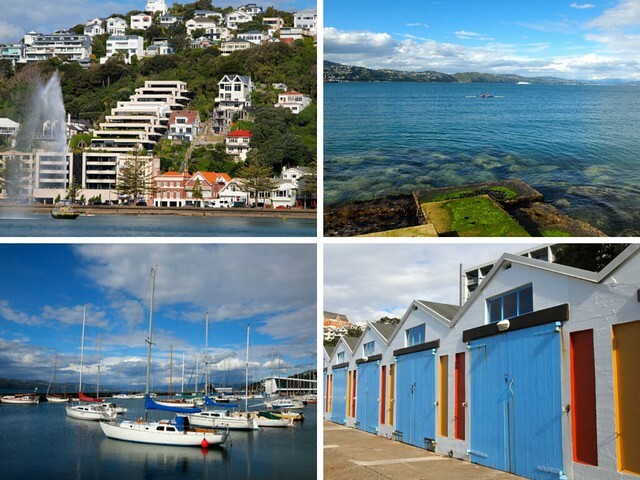 Wellington is made up of a bunch of different neighborhoods and suburbs — and one of my favorites is Island Bay, situated on a bay of the same name. This coastal suburb seems like it would be a lovely, chilled-out place to live. All of Wellington's suburban bays are incredibly photogenic, but I think Island Bay is my favorite. There are also a few easy walks that start here, including two that lead back into the city, and one that connects to the Red Rocks Coastal walk, which can take you out to a seal colony during the winter months. Lastly, I'm a huge “Lord of the Rings” fan. And yes, I mean HUGE. Meaning I can't go to Wellington without visiting Weta in the suburb of Miramar. 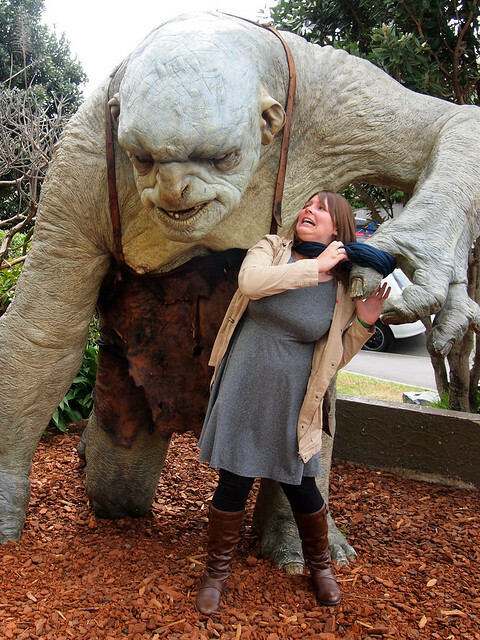 Start with a behind-the-scenes tour of Weta Workshop (amazing for any movie fan), and end in the Weta Cave, where you can buy all sorts of geeky memorabilia. Before you leave, be sure to get a troll shot for the ‘gram. These of course aren't the only great spots to photograph in Wellington. 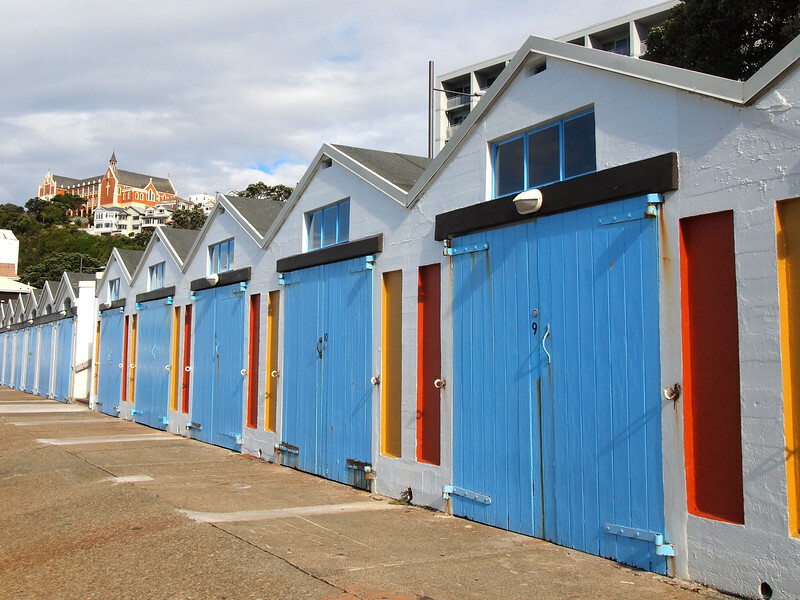 There are other nice beaches in the suburbs (Lyall Bay is beautiful, too), other cool street art around the city, and lots of cool architecture throughout the city. 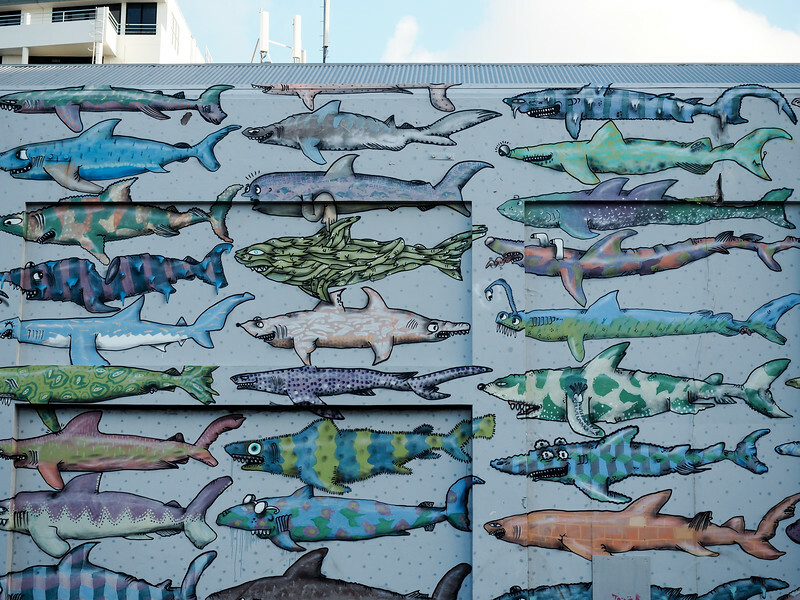 This cool shark mural is across the street from New World. 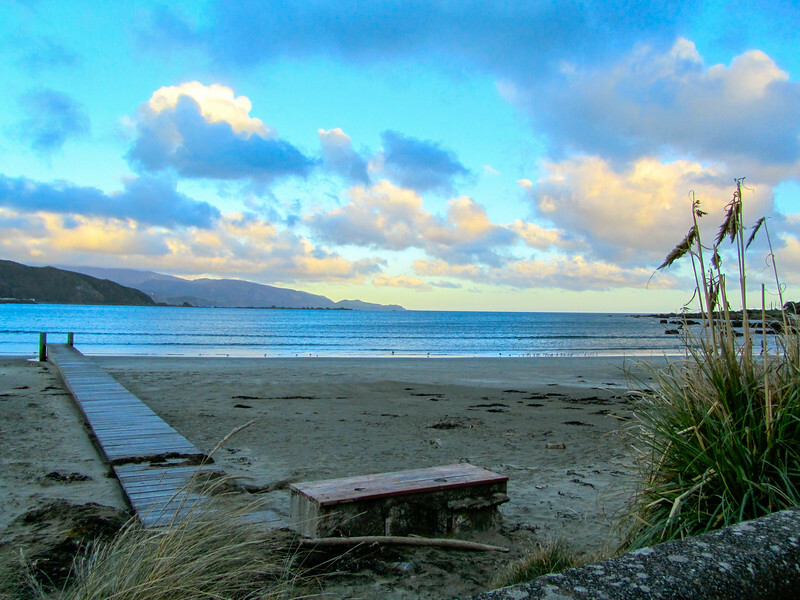 Lyall Bay is a great spot for sunset. The above spots, though, are my favorite ones that I keep returning to over and over again! So what do you think? Which spots would you snap your next Instagram shots in? I share your love for Wellington, even though I am not a big fun of the cities. Funny I just wrote a very similar post to yours on my blog. It seems like we were there by few days apart! 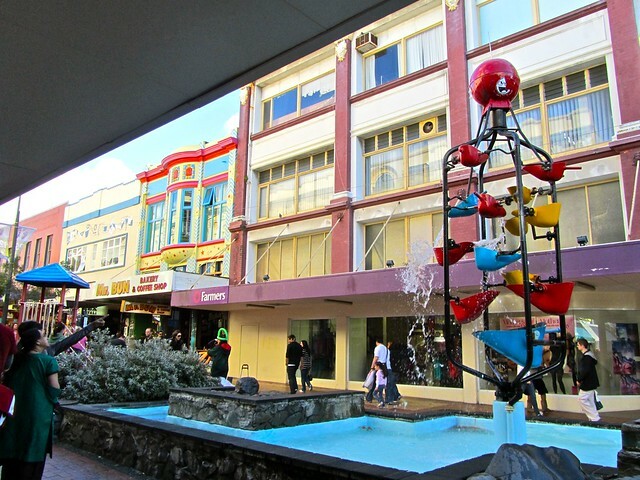 I don’t really think of Wellington as a “city” city, though – it has so much more character than your average city! So glad that you loved it, too! Looks like you caught some nice weather, too! It’s a good place for it! It’s worth getting to know better, if you ask me! Oh, my gosh. It’s been four years, but I fell hard for Wellington, too!! 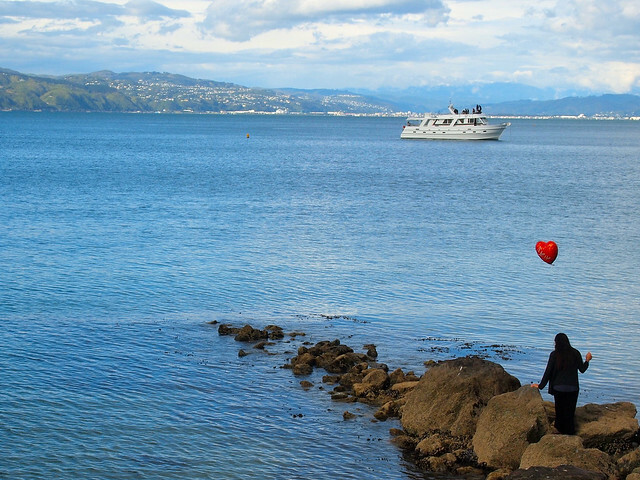 If you catch it on a good day, it’s hard NOT to fall for Wellington, if you ask me! 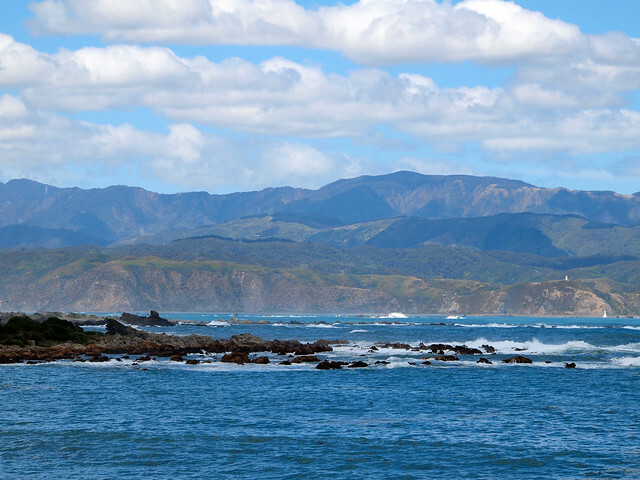 I didn’t make it to Wellington when I was in New Zealand a couple years ago – guess I’ll have to go back! Highly recommended! 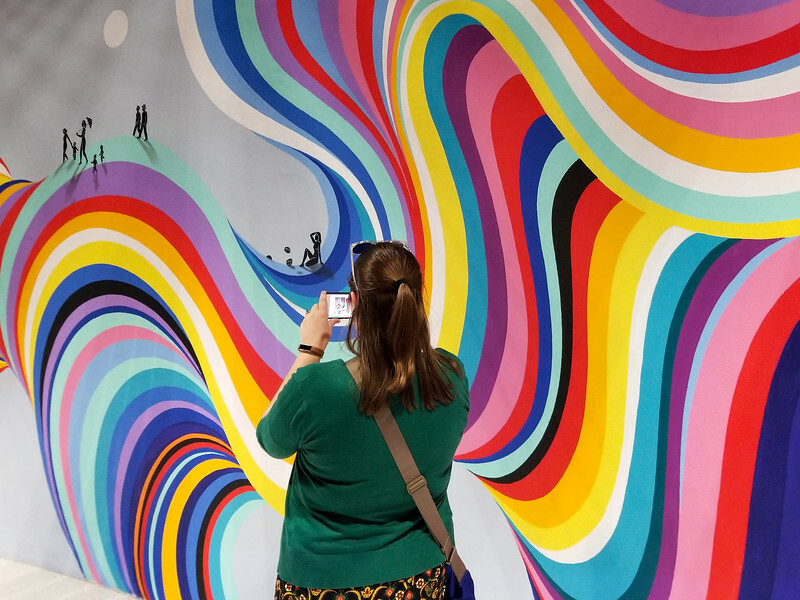 Many people skip Wellington because they assume it’s just going to be a another capital city – but it’s way better than that! I haven’t been to Switzerland yet, so I can’t really compare. But I have a feeling I would love it there, too! Besides the abundance of natural beauty, NZ has a refreshing feel to it too. 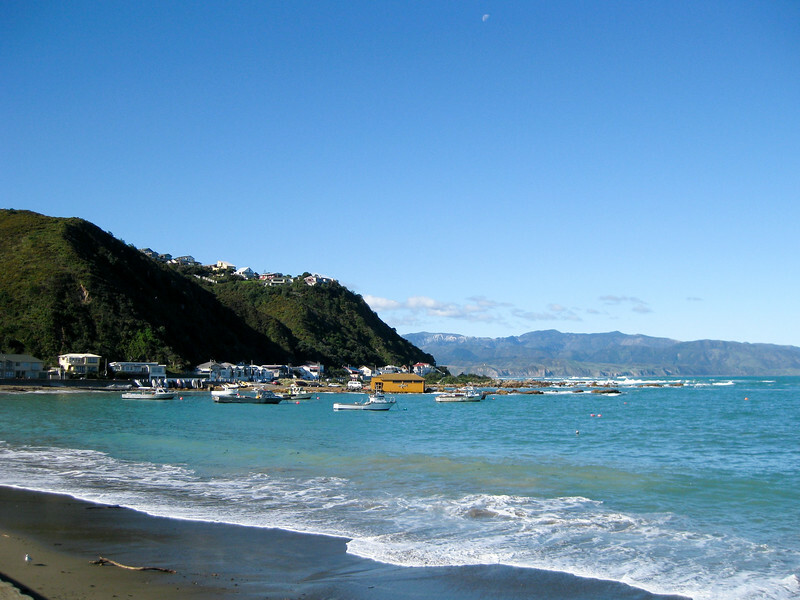 Wellington certainly looks picture perfect, clean and welcoming. So lucky of you to have lived there! I definitely feel lucky to have lived there! I would love to go back and live there again someday! Nice photos! Ok, I clearly have to go back to New Zealand because we didn’t spend near enough time in Wellington. It looks like a very cool city. Gotta love that suspended ball in the square. It IS a really cool city – definitely give it a chance next time you’re there (because somehow I feel like you’ll definitely be back someday)! Love your photos! There are many great natural sights all over! That’s great you could spend several months there! Some of the best months of my life! Wellington will always hold a very special place in my heart because of it! 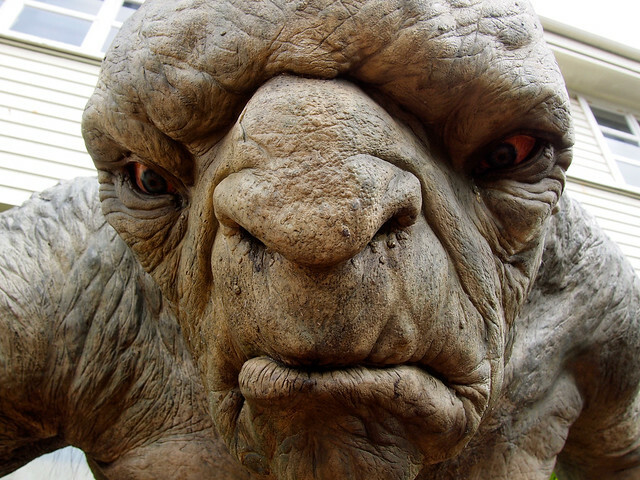 Yup, Weta is based in Wellington – in fact, all the production was done there, from the digital effects to the post-processing! Some very talented filmmakers in NZ! I highly recommend doing the new behind-the-scenes tour at Weta! Really cool place to visit. New Zealand is a beautiful place and like you I also am a fan of the Lord of The Rings series. Some really incredible movies! It’s so cool to see the locations and landscapes in person. I miss Wellington so much! I’m thinking of doing the reverse migration…. move to NZ from Australia once I get my Australian PR. Haha, do it! Wellington is so awesome. I still have dreams of living there again someday. Weta is well worth a visit! They have a very cool behind-the-scenes tour you can go on now, too! View from Mount Victoria is the best. During night time, the lights from the city is so cool. Agreed! It’s the best around dusk, when you have the sunset colors and the city lights just starting to come on. Your photos are wonderful! We will be in Wellington for a couple day and then do a ferry crossing. I am so looking forward to seeing this town now, since I was connected to your page from Pinterest! Wow, what a wonderful, artsy, creative city. The people who live there must be amazing. It still remains my favorite city in New Zealand! I hope you enjoy it too!